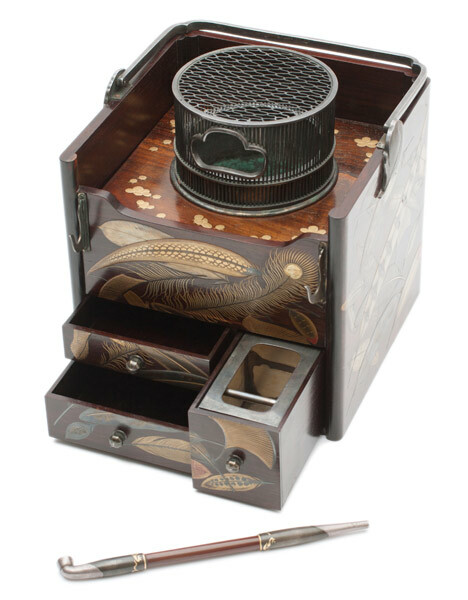 Japanese smoking set, ca 1910. 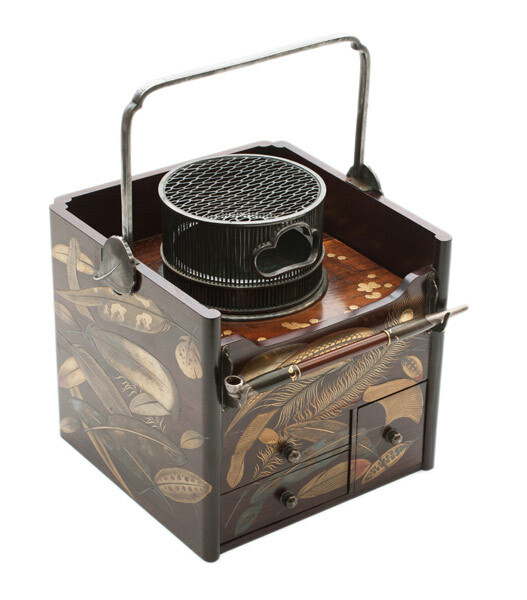 This smoking set consists of a small portable cabinet with 2 storage drawers; one drawer containing an ash receptacle; a silver basket weave covered ashtray/pipe stand; a silver carrying handle, and a silver and lacquer pipe. 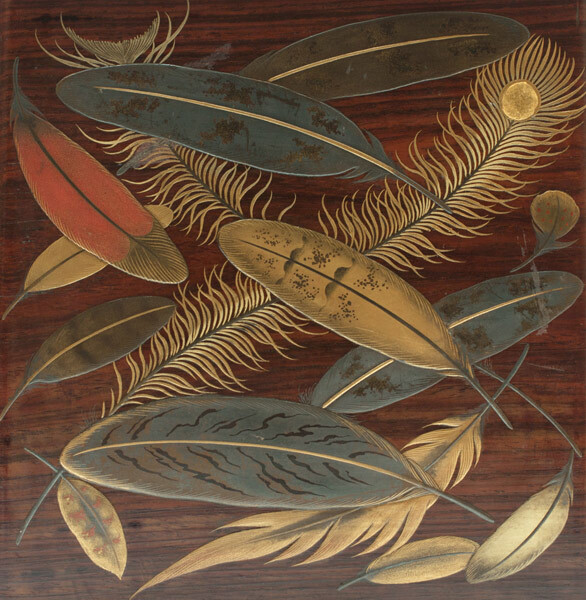 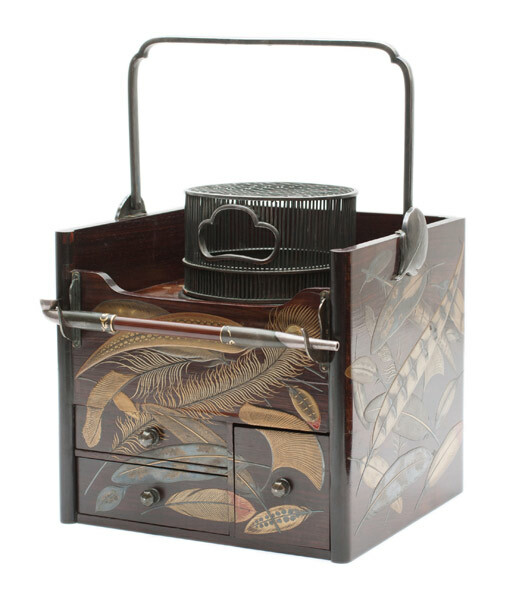 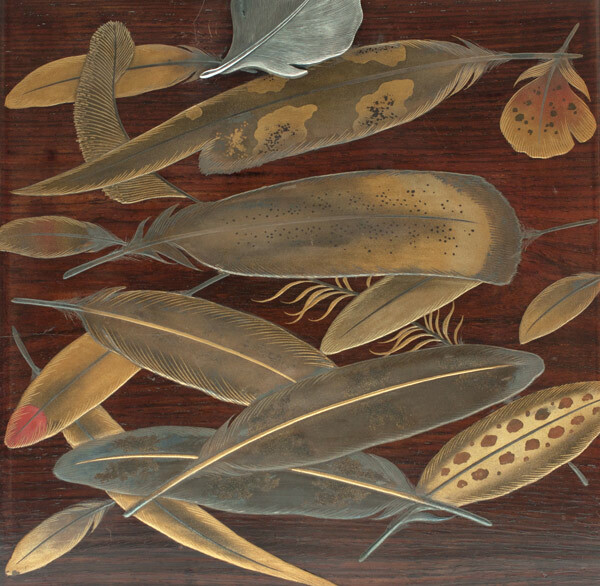 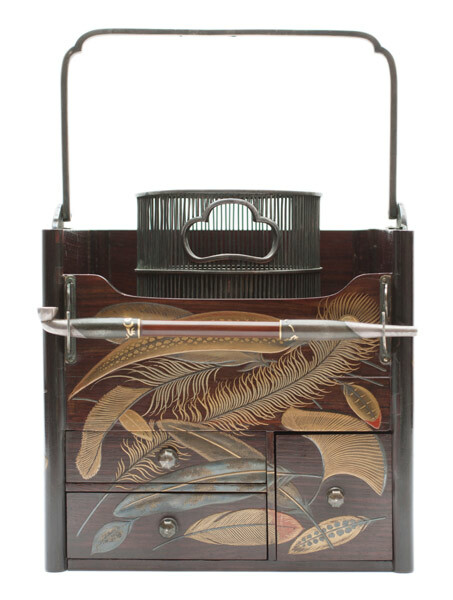 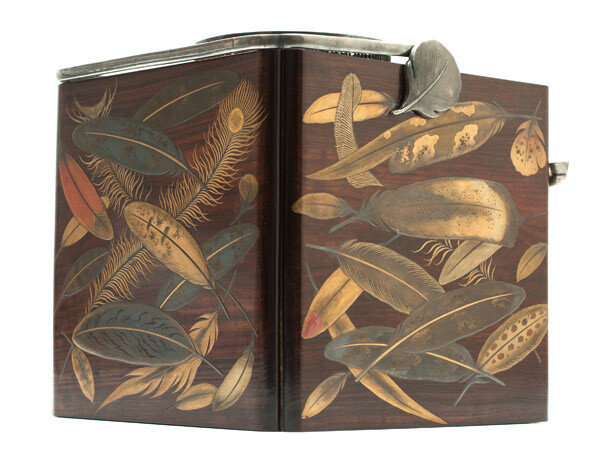 The outside of the cabinet has a lacquer over wood design of feathers and leaves. 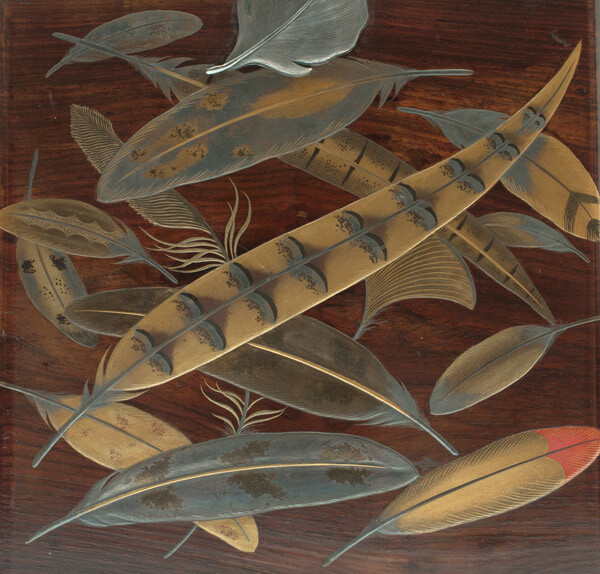 Age: Late Meiji Period, circa 1910. 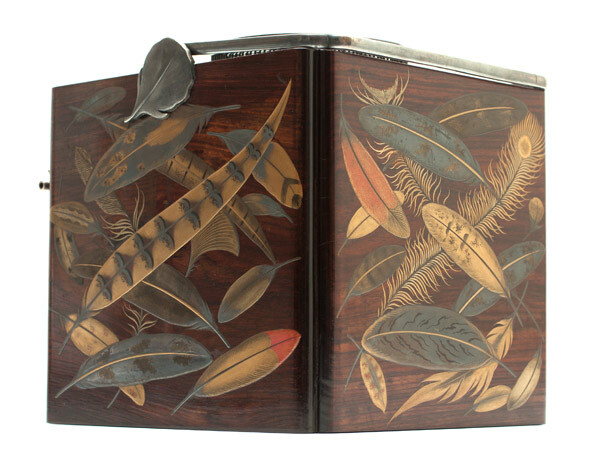 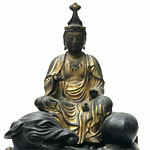 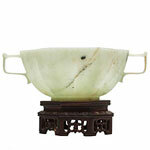 Size: 11½" x 7½" x 8"
Media: Silver and lacquer over wood.